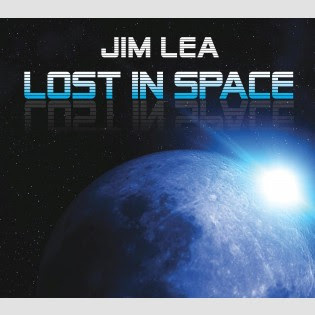 RockUnitedReviews: JIM LEA - "LOST IN SPACE EP"
JIM LEA - "LOST IN SPACE EP"
The name Jim Lea should be familiar to anyone who treasures good rock music with energy, melody and the best choruses in the galaxy. Why? Because Jim was one half (with Noddly Holder) of the writing team for Slade, and if you don't like Slade then you haven't heard them. It's been ten years since his solo album 'Therapy', and it's good to have him back with a guitar in hand and a bouncy chorus in his head. I have to say that I'm not sold by the track 'Lost In Space' that leads off the album. It's light, not rocky and reminds me a bit of Del Amitri. It's nice enough, and deliberately written as a pop song, but is just too wimpy for my tastes. Things get serious with the next track 'What In The World', which certainly could have been a Slade track in the good old days of the 1980s (when they released some brilliant stuff). Jim has a decent, slightly edgy voice that works well with a rock track, although I'm sure he'd agree Noddy would have done it better! 'Megadrive' isn't a love letter to the old SEGA console, but continues the guitar driven fun with a slightly more laid back feel to it that would have made it a better choice for a single that the title track. 'Pure Power' follows, and it's a basic, punchy number with a big riff, a nice solo and a cowbell thrown in for good measure - this one will stay in your head, believe me. 'Back To Birmingham' and 'Through The Fire' finish off the EP, and both are very guitar heavy and very good indeed! Jim's vocals suit these songs better than any others on the EP, and I'd love to see him do them live, as these are both proper head bangers! Aside from the title track, 'Lost In Space' is stuffed full of melody and guitars, with only one track sounding like Slade. What a shame it's taken ten years to get these together, as Jim Lea knows how to rock out with his cup a[f tea and comfy chair out (well, he is now after all). Recommended.